Enormous data transfer over the Internet demand needs ultra-high-speed data rates and low latency networks, opening the door for 5G and beyond. Immigration towards high frequency bands seems to be an efficient solution due to their large swath of available spectrum. The use of the millimeter wave (mmWave) band and the visible light band, i.e., light-fidelity (Li-Fi), in wireless access are considered as the most promising solutions. Hence, there is an urgent need for efficient interworking among these candidate technologies to increase their usability by overcoming their challenges. 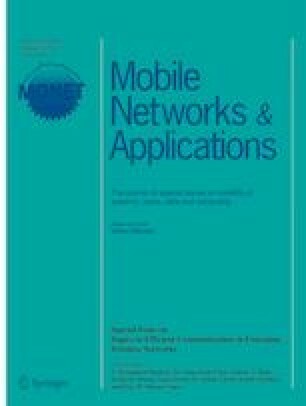 In this paper, an efficient Li-Fi/mmWave integration paradigm orchestrated by Wi-Fi signaling is introduced, then a mmWave beamforming training (BT) based on Li-Fi localization is proposed. The wide spread of light emitting diode (LED) bulbs used as Li-Fi atto-cells accompanied with their high accurate positioning enable the use of too sharp (pencil) mmWave beams using a few number of beam switchings. This contributes in highly reducing the mmWave BT complexity while extremely increasing its coverage area. The effectiveness of the proposed mmWave BT, in terms of BT complexity, outage probability and misalignment probability, is proved mathematically and via numerical simulations over the exhaustive search BT and that based on the conventional Wi-Fi localization, especially in sharp beam scenarios (e.g., beamwidth is around 2.8°). This work is partially supported by National Telecom Regulatory Authority (NTRA), Egypt. Using (61) and (62), (26) can be directly expressed by (27) via straight forward application of the probability theory .